It wasn't the Trojan. The laptop's power supply/distribution system was frying components, including my hard drive. The shop was able to recover most of my stuff (Huzzah!) but I've been having to get it all transferred over to the new laptop, and considering how convoluted newer program licensing works, moving programs has been a PITA. No matter now. I have the core programs I need installed and can slowly migrate datafrom the old hard drive (what is there anyway), reinstall most other programs, and migrate from backup DVD/CDs as I go. The Dell XPS 15 served faithfully for about 5 years, which is probably 80-100 years in Human terms the way I used it. I'm now working on Question 5 of the A2A Combat over SEA series. Boeing is also tempting me with a vapid banner ad for their 'Save the Growler' campaign that just begs parody, but I'd have to dust off some Flash skills and that takes time. Given the near global stupidity among the unwashed that is pushing for 'saving' the A-10, I may add to the Debunking Close Air Support Myths series with a post on how the Air Force has tried to field a 'survivable' CAS plane for high intensity conflict repeatedly, yet have been stymied by the 'Army Insecurity Committee' and earlier stupid Congresscritters. 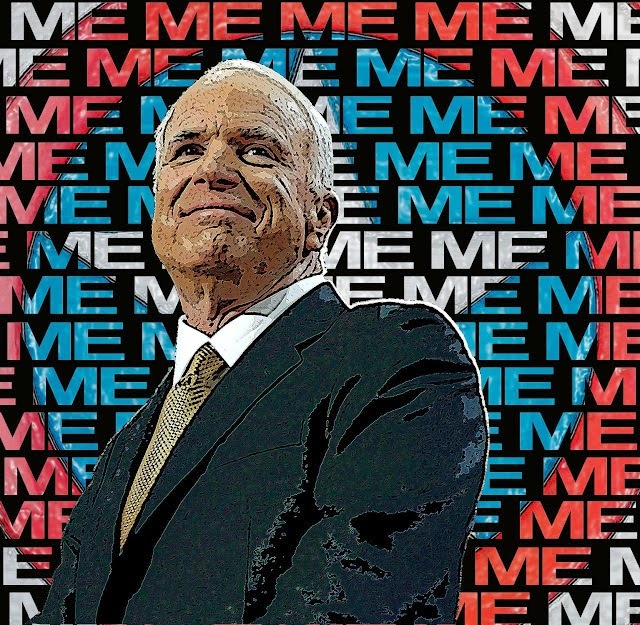 I'll try not to get into what a self-serving lost boy, the idiot John McCain is (done enough of that already). Think he's running again?